Thanksgiving Maple Candy Turkey, 1.5 oz. 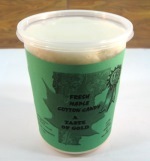 Vermont Maple Candy Moose, 1.5 oz. A wonderful Thanksgiving Day treat! GOBBLE! GOBBLE! GOBBLE! This Thanksgiving when you bring out the Vermont maple candy, shaped like turkeys, everyone will want one - this we're certain of! Individually boxed and ready for gift-giving. 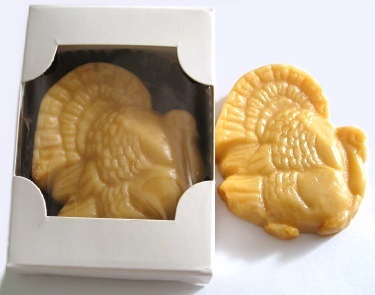 Made with 100% Pure Vermont Maple Syrup, each turkey candy is a hefty 1.5 oz. !